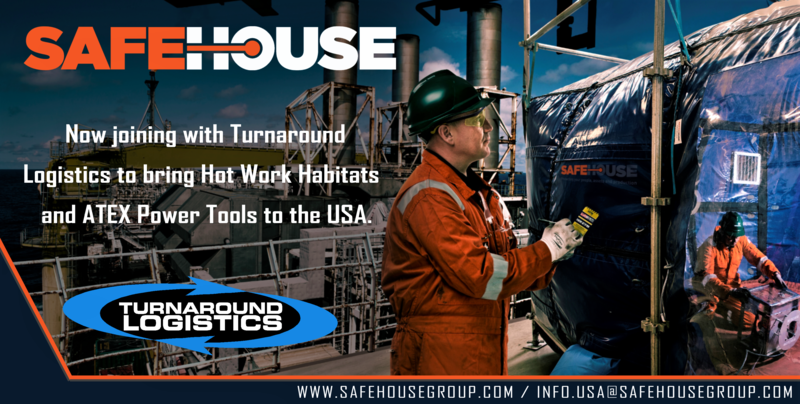 Safehouse Habitats (Scotland) Ltd, the market leading provider of engineered protection services into the global oil & gas industry, has entered into a partnership agreement with Houston based Turnaround Logistics, Inc. The partnership represents a strategic relationship between the two companies which will support the growth of Safehouse in the USA, across the oil and gas sector. Safehouse provides a range of fully ATEX certified products and services that safely delivers measurable economic benefit to its customers operating in hazardous environments. Turnaround Logistics, Inc expertise and knowledge of the local market gives strong alignment to our customer offering and well positions both of our businesses for growth in the region. We look forward to working together and expanding our range of engineered protection into the market. Next SAFEHOUSE strikes exciting partnership with FRONTKEN PHILIPPINES INC strengthening its support to the ASEAN Market.